Pickle juice! 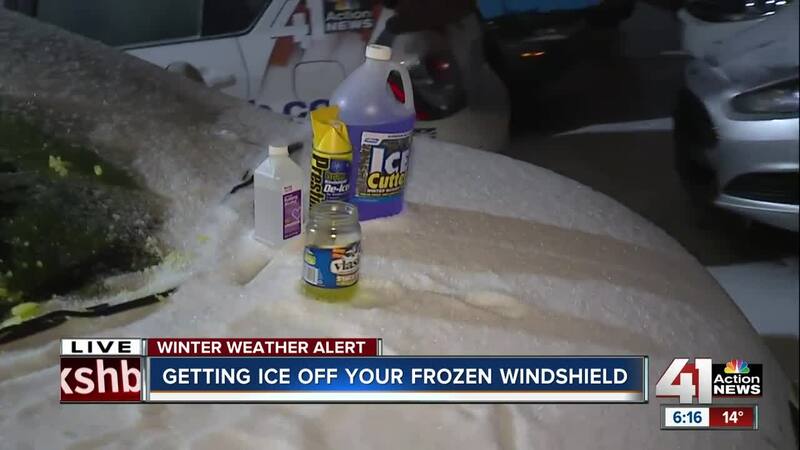 Who would have thought it would be one of the most effective tools to use to de-ice your windshield? KANSAS CITY, Mo. — A winter storm left a coat of ice on cars, trees, and roads from one corner of Kansas City to the other Thursday. The way drivers get ice off a car’s windshield varies from traditional to the little-known tricks. We put a few methods to the test to find out how they work. Most drivers simply let their car run while parked with the defroster on full blast. In about 15 minutes, the car warms up and ice starts to melt. But drivers will get a ticket if they don’t stand by or sit in their idling car while the key is in the ignition. In cities such as Kansas City, Missouri, Overland Park, Kansas, and Roeland Park, Kansas, it is illegal to leave a running car unattended , unless its running via a remote start system. Police agencies say leaving your car running invites criminals to steal it . This method worked well, the ice thinned out and melted, making it easy to scrape off. But it took time. We sprayed a Prestone brand windshield de-icer on one car and a windshield wiper fluid designed to melt frost on contact on another. Both worked at taking the top layer of ice off but did not offer immediate results as they lead consumers to believe. Both products cost about $5.00. One tip going around includes mixing two parts rubbing alcohol with one part water in a bottle, then spraying the mixture on a windshield. The concoction worked similarly to the commercial de-icers. It worked best on thin layers of ice and didn’t have much impact on the thickest sections. The Farmers’ Almanac suggested pouring pickle juice on a frozen windshield. The salty, vinegary brine that makes up the juice melts snow and ice. This trick worked better than de-icers and rubbing alcohol. There is a drawback: the brine could rust cars. The Farmers’ Almanac suggests washing and or rinsing the juice off the car during the next warm day. The publication offered a few other de-icing tricks and several other uses for leftover pickle juice . Some people place a blanket, towel or other similar item over the windshield before the storm arrives. The snow and sleet lands on the blanket and then a driver can peel it all off, leaving behind a nice, clean windshield. 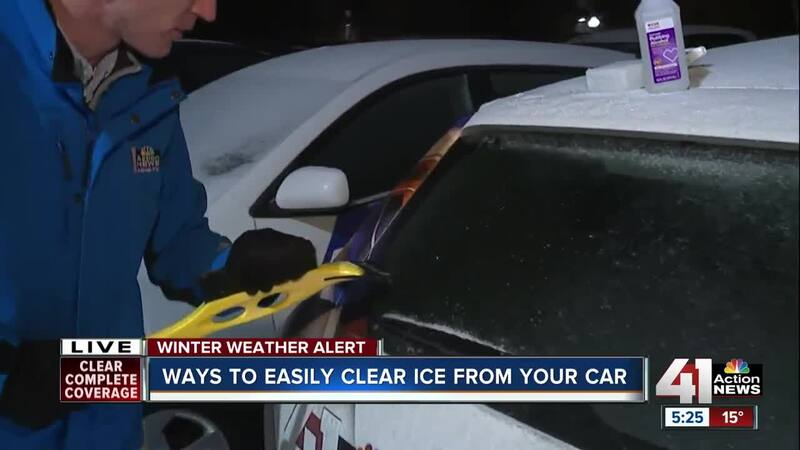 Nearly every auto and safety agency advises against pouring hot or boiling water on a frozen car. The contrast between hot and cold can cause a windshield to crack and the warm water can find its way into other parts of the car, then freeze, creating more problems later.